Imagine having a yearly routine blood test feeling perfectly fine only to find out that you have Acute Myeloid Leukemia (AML), or blood cancer. That is precisely what happened to Evy, Evelyn Soneja, a devoted single mom to a young teenaged son. On the 28th of August 2018, her world was turned upside-down as she started day 1 of chemotherapy treatment. Doctors informed Evy that the treatment may go for as long as six months and in confinement, depending on how her body responds to the treatment. She also potentially may need to undergo a bone marrow transplant should the chemotherapy be not-so-successful. 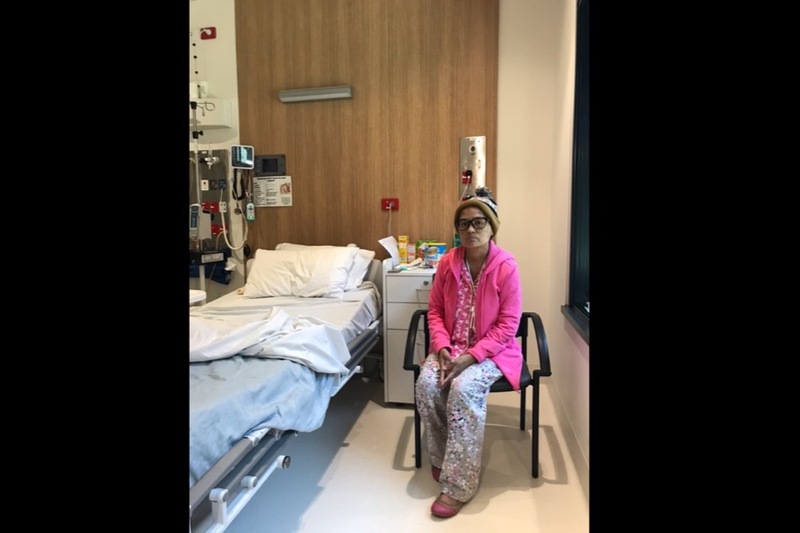 Her sister, Reggie, (Regina Soneja-Agravio) took the earliest flight from Manila to Melbourne to be her primary carer, and has also undergone tests to check for compatibility and suitability as a bone marrow donor. So far, Evy has undergone the first round of chemo treatment and over the following weeks, further tests will be conducted and will form the basis of further treatments. As the overwhelming process moves forward, it is evident that Evy’s situation has immediately become alarming. The doctors have proclaimed her 'unfit to work' until the end of the treatment and will need to stay in confinement. Evy needs an enormous amount of support not only emotionally , but also financially as she will have no income to support her son, her sister’s temporary stay as her carer, and the mounting day to day expenses and bills during the treatment. Please, if you can find it in your hearts to reach out and help Evy and her family as they face this unbelievably daunting ordeal, a donation of any amount, even the price of a cup of coffee, will be of huge help to ease the family’s distress. Evy has been a beacon of strength throughout her ordeal and is fighting with everything she has. With God’s grace, we are confident that she will pull through. Please whisper a little prayer for her as you go on about your day. "Lord, the scripture says that You heal all diseases and whoever believes in You will not perish but have an everlasting life. When You were on earth, You did all things good and healed all kinds of sicknesses and diseases. We believe in our hearts that You are with her everyday. Be her strength, Lord, in this trying time. Help her endure this battle and sustain her all throughout this journey. We humbly pray that You lay Your healing hands on Evy and remove the sickness in her body. Let it be done through Jesus Christ, Your Son, and all in Your glory, oh Lord. Amen."